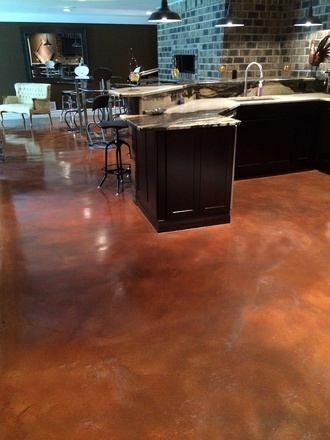 Most people know concrete as being this plain gray material that dries in varied tones. While some embrace its utilitarian look, some prefer something more decorative. 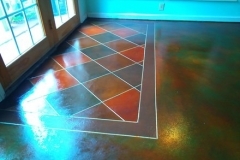 Instead of topping it off with tile, stone, or whatever material out there, choose a decorative yet highly economical option: Colored Concrete. 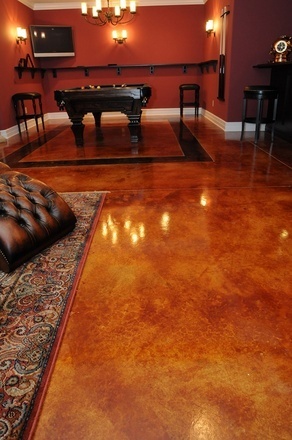 This involves the process of coloring slabs to a hue that matches or complements the space it is located at. 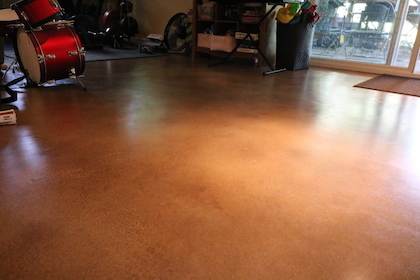 This is another wonderful thing about concrete. Its gray color can be replaced with a more appropriate color, considering the color theme or design concept of the room. Regardless of your color or theme preference, there are appropriate colors you can choose. Just make sure that you test it on a small area first before applying it on the whole area to get a glimpse of how it would look. 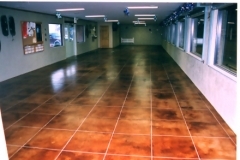 Wide Range of Color Options – The creative choices for coloring concrete is almost endless. Colors range from earth tones to more vibrant hues like pastels. Individual colors can be mixed with others to create unique and interesting hues. 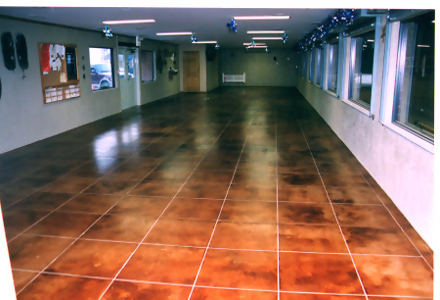 Can Mimic Nature – Skilled contractors can color slabs to make it look like real stone. Some of the most popular looks include flagstone, slate, travertine, and more. 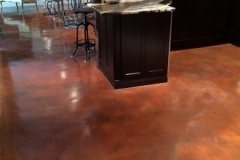 Hides Ugly Stains & Discoloration – Concrete is a very porous material which is why it stains easily. Slabs also have the tendency to discolor as time goes by. One efficient method of covering these unpleasant issues is by adding a coloring agent. Economical – Compared to other methods of enhancing surfaces, coloring it is one of the most affordable and long-lasting. 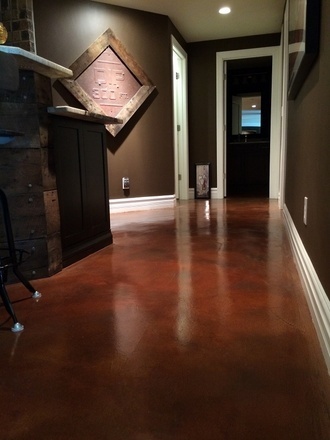 Stained Concrete – This comes in Acid and Water-based types. 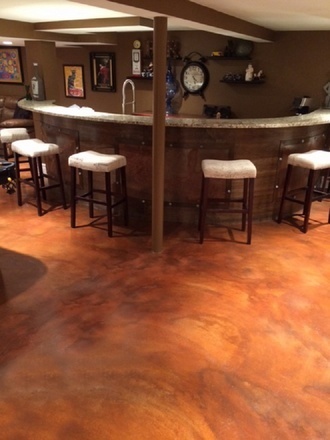 Acid stain concrete offers earth tones while water-based stains come in a broader range of colors, including pastels. These penetrate deep into the slab and does not peel, flake, or fade. It can be used on both indoor and outdoor surfaces. 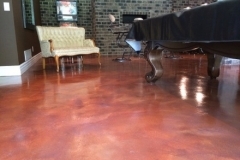 Integral Color – This type of coloring agent is mixed with the entire concrete mix, making the color long-lasting and fade-resistant. This, however, can be more costly because of the amount of coloring needed. Colors for this are more subtle. Dry-Shake – This is a coloring agent in powder form. 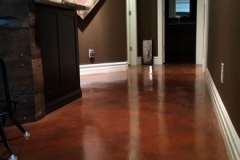 It is broadcasted onto the surface of a freshly poured slab or a newly applied overlay. Colors are more intense because it is incorporated into the top surface layer. Dye – Dyes come in solvent and water-based types. 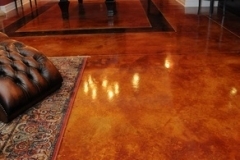 Unlike stains, it does not cause any chemical reaction when it comes in contact with the slab. This, however, is not that efficient in masking stains and discoloration. 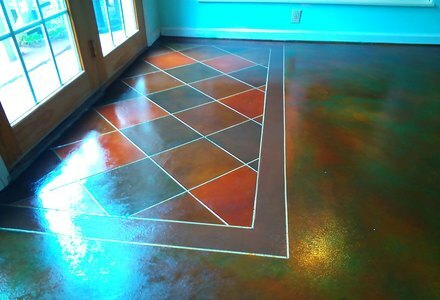 Add color to your life with colored concrete. Call (972)808-5281 for more info. 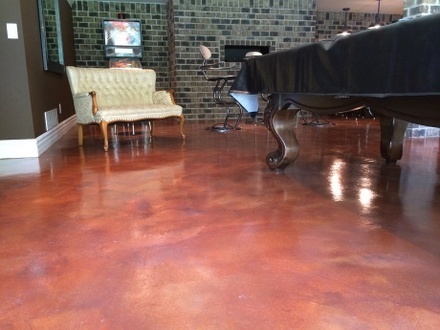 Make your surfaces stand out with colored concrete. 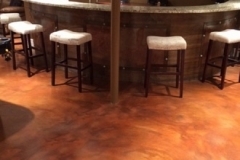 Dallas Decorative Concrete has a team of skilled and creative contractors that can turn any boring surface into wonderful decorative concrete floors. Just give us a call or send us an email. Let’s talk about your color options through a free consultation. We also give free price quotations.